Doors Direct can custom design and manufacture the door of your dreams using aluminium framing and cladding. Aluminium is lightweight, doesn’t rust, is long lasting and the finish requires minimal maintenance. 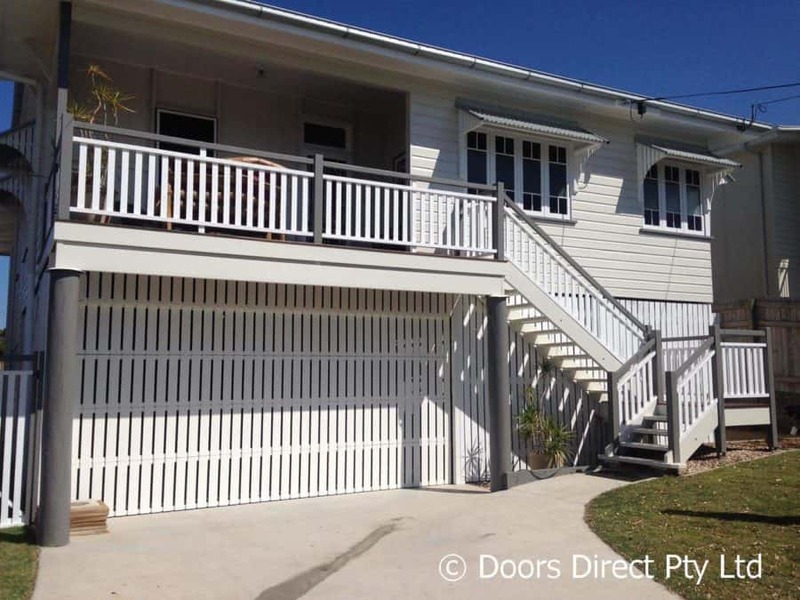 These doors are a popular choice when customers want to have airflow into their garage or carport as well as if the customer wants to match the garage door to existing fencing or palings under the house. The custom range of aluminium doors are hand welded for durability and strength. The aluminium is then powder coated from a wide range of colours to match in with the look of your house and or fence. Custom aluminium doors can be made into a sectional / panel lift door or a tilt garage door to suit the requirements of your carport or garage. For your convenience they can be motorised with one of the motors from our range. Check out some of the latest custom aluminium doors we have recently installed here.